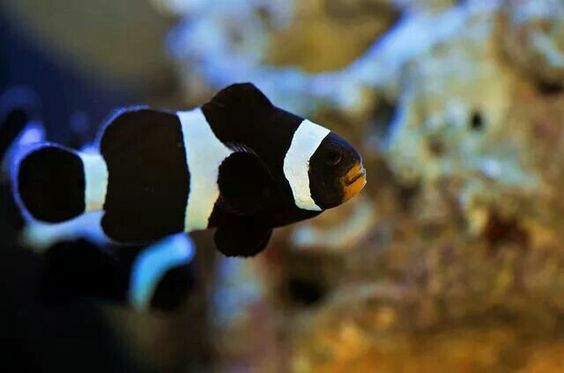 The Black and White Ocellaris Clownfish, Amphiprion ocellaris, also known as the Black Perc, Black Percula Clown Anemonefish, or Black and White False Percula Clown. 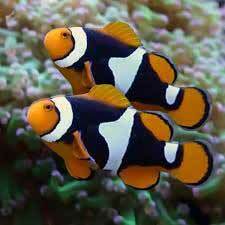 They normally found in association with anemones on the reefs of the Coral Sea. 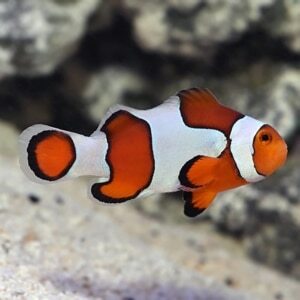 The Captive-bred clownfish are uniquely stunning and easy to breed in the home aquarium. 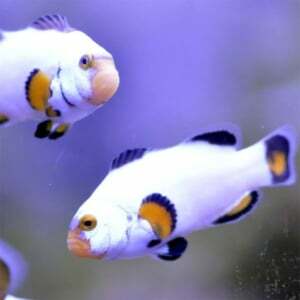 The females will be the largest of the pair, and two fish will usually stay close to each other in the aquarium. Fish’s egg are layers and will deposit on a flat surface, and defend the eggs from other tank mates. These are omnivores and they require both meaty foods as well as some greens in their diet. High quality marine flake food, rich in spirulina algae, as well as freeze-dried and frozen foods are readily accepted. 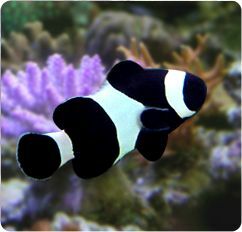 The Black and White Ocellaris Clownfish is very distinctive with its jet-black body and three white stripes on each side. When young, the fish will have an orange region above their mouth, but will turn all black with age. 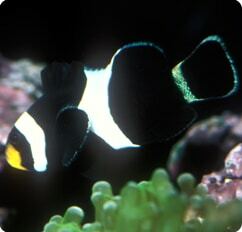 The Black and White Ocellaris Clownfish has other unique advantages over wild-harvested species. 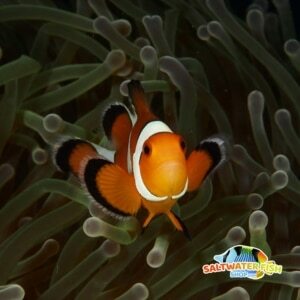 They can also be kept with a variety of other captive-bred clownfish into the aquarium at the same time.